In BlackRock CEO and Co-founder Larry Fink’s annual letter to companies on January 16, he issued a call to action for companies to have “a clear sense of purpose.” To BlackRock, having “a clear sense of purpose” means much more than simply delivering quarterly financial results—companies will be expected to have a strong commitment to evolving Environmental, Social and Governance (ESG) issues. This letter matters both because BlackRock is an important large investor of actively managed assets and—more importantly—because we are living in a new world order of many fewer public companies with, at the same time, a continued crescendo of passive investment allocation. These changes in the U.S. equities markets have been underway for some time, but with the recent significant bull market run they are being magnified at an accelerated pace. Below is a quick tour of how we got here. And then we discuss the take-away: For the foreseeable future, companies and their boards need to be in dialogue with passive investors’ governance departments. And they need to be prepared for a conversation in which ESG issues are squarely on the agenda. Two market phenomena have radically altered that landscape. First, the number of actors/companies in which broad-market passive funds may invest has roughly halved, while average market capitalization has more than tripled. The total number of domestic public companies has shrunk from over 8,100 in 1996 to 4,300 today (World Bank/World Federation of Exchanges). That essentially eliminates half the domestic (non-foreign listing) investment targets in the U.S. And foreign companies listed in the U.S. add only 900. Total U.S. domestic equity market value in that same twenty-year period has doubled, from just over $12 trillion to $27 trillion (held constant in 2017 dollars) (Credit Suisse), going from 105 percent to 147 percent of annual U.S. GDP (World Bank/World Federation of Exchanges). Commensurately, to balance out fewer companies with greater total value, average domestic public market capitalization of a given public company has increased from $1.7 billion to over $6.9 billion in constant dollars (Credit Suisse). Median value is $832 million—and that median value is essentially what market observers would posit is the minimum value necessary for a public company to have scale and liquidity in its public float (E&Y). The top 1 percent of domestic public companies—roughly 30 companies—account for 29 percent of aggregate market value (E&Y). The top 4 percent of domestic public companies—roughly 130 companies, each of which is worth more than $50 billion—account for over 50 percent of aggregate market value (E&Y). To draw further conclusions: Roughly 1,650 domestic public companies are under $832 million in market capitalization. That leaves approximately 1,500 companies “in the middle”—a middle that ranges vastly from roughly $1 billion to $50 billion. And this is the concentrated set of companies on which the broad-based passive index funds by definition must be focused. Total Market Value: More than 40 percent of U.S. equity assets under management (AUM) are in passive vehicles (Goldman Sachs) and, out of the entire U.S. equity market (professionally held plus individually invested), 30 percent are in passive vehicles (Morningstar). Concurrent Decline in Individual Ownership: Individual ownership has dropped precipitously from ½ of the market to 1/5 of the market—50 percent in 1976, 27 percent in 1996 and 21.5 percent in 2006 (Credit Suisse). Trend: In 2016, $506 billion flowed into passive funds, while $341 billion was hemorrhaged from active funds (Morningstar). Trading Volume: 25 percent of daily trading volume on U.S. exchanges is in ETFs—not actual stocks (Goldman Sachs). There were 2 ETFs in 1996. There were 658 as of 2016, and the number is growing (Credit Suisse). BlackRock, New York City: Out of almost $6 trillion AUM, $1.2 trillion is in the popular iShares equity-based ETFs (which tripled since BlackRock purchased the business from Barclays in 2009); another $1.6 trillion is in institutional passive equity funds. BlackRock, then, holds $2.8 trillion in passive equity strategy vehicles. While BlackRock does not report specific geographic investment mix, a rough approximation would be that some 70 percent of it is likely in U.S. markets (BlackRock 3Q18 Form 10-Q). Vanguard, Valley Forge, Pennsylvania: $4.5 trillion AUM—the vast majority in U.S. index investing. Its founder, Jack Bogle—after having been fired from active manager Wellington—was the original primary advocate of indexing and created an index giant. In contrast, its large fundamental-based mutual fund competitor, Fidelity, has under $2 trillion AUM. Four of five of the largest U.S. mutual funds are index funds from Vanguard—the fifth is Fidelity’s money market fund—an investment in essentially cash, not portfolio management (Investopedia). In the past three years, Vanguard received about 85 percent of all new U.S. mutual fund investment money, while the remaining 15 percent went to all of Vanguard’s other 4,000 mutual fund competitors all combined (Morningstar/The New York Times). State Street Global Advisors (SSgA), Boston: $2.6 trillion AUM of which 70 percent is in North America, $1.5 trillion in passive equity. State Street, while separately a behemoth in third party securities custodianship, remains the smallest of the passive investment management shops—but has the well-known SPDR ETFs. The result is that passive investment management firms now hold massive portions (closing in on 1/3) of U.S. equities. And because they are passive, they cannot summarily buy—or sell. Once a passive fund purchases an equity, it is there to stay … forever … unless the company runs into so much trouble as to fall off the particular index. A passive fund’s holdings may fluctuate with overall investment levels in U.S. equities; however, a passive fund’s ownership level relative to other investors is unlikely to materially change and, in fact, given the seeming march towards greater value, such fluctuations of late have meant only increased ownership levels as “dry powder” continues to aggressively enter the markets. Ground Rule #1: Each of the “Big 3” Passive Shops Has an In-House Governance Function. Get to know them well in advance—to avoid barely getting a short, rushed meeting with them when it is crunch time. BlackRock: Michelle Edkins, who Larry Fink announced in his message will be supplemented by BlackRock’s Vice Chairman and Co-founder, Barbara Novick. Ms. Edkins is a New Zealander who began in investment management in 1997 in the UK and joined BlackRock in 2009. Vanguard: Glenn Booream, who joined Vanguard directly from college in 1989. SSgA: Rakhi Kumar, a former chartered accountant in India who picked up an MBA from Yale and worked for Moody’s before spending the last seven years at SSgA. Ground Rule #2: Passive Investors’ Influence Cannot Be Underestimated. Passives: Vanguard (187 million), BlackRock (159 million) and SSgA (113 million): They are #1-3 of the top stockholders—and the next largest holder is Bank of America at a distant 44 million. Major Actives (cross-section based on past importance/author experience): Capital, Dimensional, Fidelity, T.Rowe, TIAA-CREF and Wellington, all combined: 106 million. Teacher and state/municipal employee pension funds in California, Florida, New York, Ontario and Texas, all combined: 29 million. In other words, the most well-known active funds and major pension funds all combined hold 135 million shares in P&G—versus the smallest of the major 3 passive positions, SSgA, at 113 million shares. All of the intensive proxy solicitation and lobbying effort invested into hitherto major (and still relatively large) funds spread throughout North America can be matched or dwarfed in a single vote from a passive investment management company. Ground Rule #3: Passive Shops Are Independent Thinkers Who Do Not Necessarily Follow the Herd. Moreover, ISS and Glass Lewis No Longer Are the Undisputed Shepherds of the Herd. Historically, fundamental/active fund portfolio managers focused almost exclusively on quantitative return of equity value. Beginning in the late 1980s, however, the U.S. Department of Labor’s Pension and Welfare Benefits Administration—exercising its jurisdiction for retirement plan investments through ERISA—issued advisory letters in Avon (1988) and Monks (1990) and then a 1994 Interpretive Bulletin, which cumulatively resulted as a practical matter in forcing investment advisers to vote. From Avon: “In general, the fiduciary act of managing plan assets which are shares of corporate stock would include the voting of proxies appurtenant to those shares of stock.” Rather than each investment adviser devoting the significant resources to establishing individual corporate governance departments to vote on thousands of annual proxies, most instead outsourced the substantive analysis to proxy advisory firms, first ISS and then its later arch rival, Glass Lewis. These outsourced proxy advisory firms for many years reigned supreme, particularly with ISS’s near-monolithic dominance of vote recommendations for funds. Such hegemony has substantially eroded. Using the recent P&G context example, while both ISS and Glass Lewis recommended voting in favor of Mr. Peltz, P&G’s single largest shareholder, Vanguard, reportedly ignored those recommendations and voted with P&G management’s slate of directors. After a very, very close vote, Mr. Peltz ultimately was seated on the P&G board. This also shows that while the Big 3 passives matter, if they split—then every vote from non-passive stockholders suddenly becomes mathematically critical. Try hard to avoid ignoring or making an enemy of any institutional stockholder. Index investing is an interesting commercial environment, since the primary historical factor for investing—seeking individual equity or fund return/Alpha—is stripped from consideration. Instead, fund expenses become key—but there are only so many fractions of a basis point to cut further before the expenses are very similar among competitors—and very, very cheap, at least in contrast to active trader funds or the steep carry and management fees of hedge funds. After two years of steep outflows and sub-market returns, hedge funds have stabilized of late—but even so, Boston Consulting Group is forecasting that a reasonable bad case—where hedge returns continue to suffer as they did in the past couple of years—could entail a further 30 percent shrinkage in hedge AUM by 2020. Conversely, keep in mind that, according to The New York Times, Vanguard has one employee (in any function … ) for every approximately $44 billion of AUM—and that Vanguard’s indices have significantly outperformed hedge fund median returns in this bull market. “Furthermore, the board is essential to helping a company articulate and pursue its purpose, as well as respond to the questions that are increasingly important to its investors, its consumers, and the communities in which it operates. In the current environment, these stakeholders are demanding that companies exercise leadership on a broader range of issues. And they are right to: a company’s ability to manage environmental, social, and governance matters demonstrates the leadership and good governance that is so essential to sustainable growth, which is why we are increasingly integrating these issues into our investment process. There undoubtedly is a hypothetical saturation point at which macro-economic headwinds and increasing concentration of equity ownership in passive investment funds will collide—where too much investing dollars could be postulated to be “stranded” in rule-based investing at much more higher levels than indices are now in the aggregate. This potentially could create greater volatility since wholesale rotation out of equities entirely, rather than from one stock to another, seems more likely when dumping an index. Perhaps then, “seeking alpha” (and a bit more of Buffet’s value investing) may return with vengeance. But don’t bet on it anytime soon. If anything, we appear headed for significant macro-economic tailwinds for the near future. As but one indicator, the new tax bill will likely significantly bolster equity prices, as both lower domestic effective tax rates and repatriation of foreign cash will likely be used to both repurchase stock and provide tidy sums for either dividends or fights over capital allocation strategies with activist investors—buckle up! A rising tide of equity prices raises all ships—and a continuing bull market is unlikely to shake investors’ seemingly unending appetite for smile-inducing returns from low cost, low hassle passive funds—further concentrating voting. The continued need to engage in discussion routinely with governance departments. In fact,ask to do so. One or more independent directors to be part of those discussions. Depending on the circumstance, it may be necessary to give an investment steward the opportunity to talk without the CEO present for some part of the conversation—still a generally unpopular concept with management. Pointed questions on board diversity—gender and racial in particular—as well as pay equity. To substantively engage on environmental topics, such as climate change impact. The road shows of yesteryear meant relatively narrow lanes of traipsing up and down the Northeastern Corridor—from Baltimore to New York and then Philly to Boston—to perform a pilgrimage to a few portfolio active fund managers and review a financial model. Now management—and importantly, board members—get to add passive shops to their tours. The sooner that boards and, of course, management accept a new reality driven by enormous underlying market dynamics, the sooner they will adapt to a new power structure that increasingly looks far beyond EPS guidance. Recent developments demonstrate that the SEC Staff is taking to heart the “Open for Business” mantra propagated by political appointees from the recent change in administrations. The most significant development is the dramatic shift in receptiveness for waivers for audited financial statements where the production may be burdensome but not clearly material to investors. Such waivers are being granted specifically with respect to financial statements in cases of marginal significance tests or where fully audited financials would involve significant cost but not necessarily provide substantial incremental useful information. In addition, the Staff continue to emphasize eligibility for all filers (and not just “emerging growth companies” under the JOBS Act) to take advantage of confidential preliminary registration statements for IPOs as well as follow-on offerings occurring within one year of IPO. The number of Staff comments issued upon review of registration statements have declined significantly, in an effort toward a speedier path to encourage use of public markets. In a relative revolution in customer service, registrants are encouraged to call the Staff early in a process to potentially be granted relief without a labored, sclerotic timeline. A change in administration has brought with it a new focus by the SEC to lessen regulatory burden on public companies. This comes as large private companies in recent years have increasingly eschewed the public markets. Such avoidance may have been for various reasons wholly unrelated to SEC regulation, and also may have been transient, given the advent of late of unicorns such as Uber that are openly espousing the benefits of public ownership. However, the SEC, to its credit, appears committed to ensuring that the Commission is not considered part of the problem – and “Open for Business” has become an overarching mantra at all levels. Accounting treatment can send chills through transaction participants. Two circumstances in particular have historically required fully audited financial statements – including potentially the painful need to recast prior year financials – even though their substantive worth was arguable. In recent public remarks, senior SEC accounting staff have highlighted two specific areas that in particular are the beneficiaries of increased relief in the form of accounting waivers, referred to as Section 313 waivers. The first situation surrounds significance testing, which focuses on three tests: income, balance sheet and earnings. If any of these tests breaches the relevant significance threshold (beginning at 20% – a summary is available on our M&A checklist here), then various periods of audited financials are required. The tests are more complex than they necessarily appear on their face, involving look-back periods and twists and turns if a filer has been loss-making instead of income-recognizing. A common “foot fault” in significance testing is when a Buyer has marginal earnings per share (either negative or positive). In the situation where significance testing is not triggered with respect to the balance sheet or income tests, a relatively small and arguably immaterial transaction may trigger the earnings-per-share significance test due to rounding error. For example, if a Buyer with $0.01 EPS acquires a Target and rounding error pushes the Buyer to break-even (0) EPS, then even though the Buyer may have income and a strong balance sheet that dwarfs that of the target company, the Buyer could be required to file full financials, as the change in the EPS number on a relative basis is quantitatively material. The Staff have been explicit that in this situation they are open to discussions on the actual qualitative materiality and facts and circumstances of the transaction, and have been granting waivers for precisely this situation. The second scenario involves where a Buyer may purchase a carved-out business from a Target, but the business was not previously held separate by the Target and thus fully audited carve-out financials are burdensome in cost and time. While the Staff may still (reasonably) request a high-level summary of the financial impact of the transaction, such as aggregate assets purchased and liabilities assumed, they may waive requiring fully broken-out financial statements with various sub-categories that would entail substantial upfront accounting judgments and work, but would thus conform completely with GAAP. Further, the Staff has reinforced its relatively recently changed rule that confidential preliminary filings are available to all IPO candidates, as well as for follow-on offerings that occur within one year of IPO. While “emerging growth companies” under the JOBS Act were already eligible for this, expanding it to large enterprises means that the large unicorns that may be considering going public will also be able to avail themselves of starting the process in private. Moreover, practice in the past year has indicated a substantial reduction in the sheer volume of Staff comments on registration statements relative to historical norms. During the technology IPO boom of the late 1990s, it was not unusual to receive a first Staff review comment letter with well over 100 comments. In recent months, that number may have fallen dramatically in a given offering – to the magnitude of 25 or so. As part of an overall initiative to encourage interaction with the regulator, the SEC is explicitly inviting early discussion of waiver requests or other areas of particular concern. SEC officials have noted that in more than one case, a Buyer could have avoided the cost and time delay of a lengthy treatise letter from outside counsel by simply calling the Staff first. Moreover, the Staff publishing the telephone numbers for key waiver request areas in the Commission’s Financial Reporting Manual. These tweaks are cumulatively important – and at the same time, the Staff appears to continue with its statutory duties to protect investors, lately and most notably including its growing levels of concern on the increasingly frothy and grey-operating world of initial coin offerings. With respect to bread and butter regulation of equity offerings, clearly the Commission is focused on tweaking the regulatory formula to grease the wheels of offerings, with the intended effect of stimulating what has been a relatively lackluster crop of offerings in recent years. Buyers and sellers alike will need to think carefully about the potential application of these new requirements within the M&A context – where oftentimes employees of the target company may continue their positions, but as new employees of the buyer. In particular, buyers should consider evaluating their current approach to HR diligence. If a buyer intends to inherit all employees of the seller, it may posit that none of these employees are “applicants” covered by the new statute. However, in almost all acquisitions, there is an element of uncertainty with respect to at least some positions. Accordingly, buyers should be mindful of the overall structure of the acquisition, particularly in situations where acquired employees may be regarded as job applicants. Instruct their corporate development teams to tread carefully from the outset: Asking for aggregated compensation cost data for overall business trends should generally be fine, but asking for any data that can be individually attributed to one or more specific employees – including salary, contingent/bonus compensation, equity compensation schedules, and specific or unique other benefits – should be carefully considered. Review due diligence request lists and forms of representations and warranties to evaluate widespread requests for or collection of salary history data. Plan in advance responses to inquiries about “pay scales,” particularly for certain high-demand categories of workers (such as engineers) where buyers may view such data as highly proprietary and confidential but will now need to think about complying with the new regulations. Consider limiting routine diligence gathered for review of “excess parachute payment” compensation arrangements (“golden parachutes”) under Section 280G of the Internal Revenue Code to outside counsel only, as is done with other sensitive information, such as antitrust materials. Effective January 1, 2018, California law prohibits inquiring about criminal conviction history of employee applicants until a conditional offer has been made, and even then employers must go through a careful, prescribed analysis of any such conviction history before denying employment. Effective July 1, 2018, the City of San Francisco will prohibit employers from, among other things, releasing the salary history (including wages, commissions or benefits) of any current or former employee to any prospective employer without such employee’s written consent. While the law and guidance develops in this rapidly changing area, buyers and sellers alike should consult counsel to ensure they are up to date on the latest activity. An increasing number of publicly traded companies in the San Francisco Bay area are moving to limit the jurisdiction where a stockholder derivative class-action lawsuit can be filed. Some of these companies, as well as other companies from the region, are adopting some form of proxy access–and some are requiring board members to win a majority of votes before they can gain or retain their seat, according to a report from law firm Orrick released on Monday. The report looked at 153 Bay Area companies that are publicly traded and have market capitalizations of $750 million or more, said Ed Batts, global leader of Orrick’s M&A and private equity practice. With regard to the so-called “exclusive forum” provisions that allow a company to decide in which jurisdiction a shareholder can file a lawsuit—it’s usually Delaware—Mr. Batts said more companies are changing their incorporation bylaws or other rules to stipulate where such lawsuits can be litigated. “In 2011-2012 nobody had it. Now 50% of companies have it” and more are likely to follow suit, said Mr. Batts. With proxy access—a provision allowing group of up to 20 stockholders who own collectively 3% of the company’s stock for at least three years to be able to nominate up to 20% of the board of directors–the report found fewer than 20% of the companies permit it. Mr. Betts said he expects that number to increase. “My guess is it will jump from 20% to 50% next year, and to 75% not too long after,” he said. “Companies are beginning to proactively adopt it.” Of the Bay Area companies that don’t have dual-class shares of common stock that allow founders to retain super-voting rights, 70% have some rule requiring a board nominee to get a majority of votes in support to win the seat in an uncontested election. 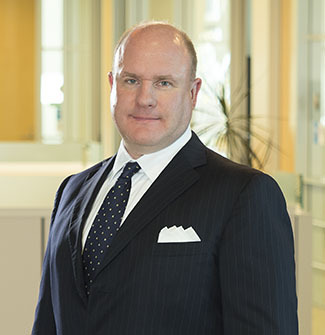 A few, relatively recent cases stemming from director compensation – most prominently involving outside directors at Citrix and Facebook – have opened up a new front for the Delaware plaintiff’s bar to seek fees in return for easily-implemented and relatively small governance changes. When there is no inherent conflict of interest in a given corporate decision, directors are afforded the business judgment rule – or essentially wide ranging latitude to direct the business as they see fit. However, Delaware courts have held it is an inherent conflict to have independent outside directors approve their own compensation. This throws such determinations under the scrutiny of the harsh light of the entire fairness rule – where directors (and not plaintiff stockholders) bear the burden of proving that their compensation is fair in terms of both price and process. As a practical matter, the shifting of the burden of proof makes it much more difficult for a corporate defendant and board to succeed in throwing out a suit on a motion to dismiss early on, prior to discovery or trial. This thereby leads to the specter of litigation cost both in terms of opportunity cost, through time and distraction, and out of pocket costs, through outside defense counsel, discovery and the bells and whistles of full blown litigation. The potential for a lengthy and costly battle thus encourages public companies to hash out a quick-and-easy settlement that makes changes that may have little practical difference to the company or its stockholders, but nonetheless close an optics-based loophole while flicking some gold coins in the pockets of the plaintiff’s firms. Public companies have been quick to point out that director compensation – particularly equity compensation – is fully disclosed in proxy statements annually and has customarily been awarded under plans that are subject to stockholder approval. Moreover, proxy advisory firms were entirely free to (and do) take director compensation amounts into consideration when making recommendations as whether to re-elect directors. The Delaware judiciary has retorted, however, that because omnibus plans historically were effectively free from limits, any stockholder approval was essentially illusory. Never mind that directors are subject usually to annual election. Never mind that shareholders are in fact free to reject adoption of omnibus stock plans. Setting realistic, benchmarked limits on director compensation, whether in cash or equity – and preferably submit these limits to affirmative stockholder approval at an annual meeting of stockholders. Being extra proactive in disclosures surrounding director compensation, including benchmarking procedures, whether outside compensation consultants were engaged and general director compensation philosophies. In other words, create a “mini-CD&A” (Compensation Disclosure & Analysis) section in the proxy statement for outside directors that in many respects mirrors disclosure for management. The upside of these changes is likely to be modest, at most. For example, in the Facebook case, the Delaware court ruled that Mark Zuckerberg’s relatively informal endorsement of the compensation policy after the fact was insufficient – and that a formal consent or meeting was required. While the overlooking of corporate formalities may allow for a plaintiff firm to greenmail a juicy settlement from an issuer – it is a fleeting opportunity as the simple adoption of such formalities stymies a case when a controlling stockholder resoundingly sides with directors. Nothing substantively changes. And, in the more customary context of shares that are widely held, public companies generally were already attuned to director compensation issues given scrutiny from proxy advisory firms and activist investors who may seek to highlight any corporate warts. Indeed, this genre of lawsuit is almost certainly a ‘business line’ for the Delaware plaintiff firms that will inevitably fade out quickly over time. For the next couple of proxy seasons, it would be unsurprising if such plaintiff’s firms scour the proxy statements and equity plans of issuer after issuer, and upon striking “Eureka!” with a non-compliant issuer, filing a formulaic suit. But as issuers are sure to heed the alarmist cries of their outside advisors (yours truly included) and adopt such explicit limits over time while enhancing proxy statement disclosure, the vulnerability will become closed and such plaintiff’s firms will be forced to search out more meaty issues. No doubt, given the dramatic judicially-driven and long overdue curtailment of M&A disclosure-only litigation in the past year through the rejection of generous settlement fees to plaintiff’s counsel, more than one plaintiff’s firm will be eager to find similar new lines of argument and business. More broadly, these cases and the underlying issues illustrate the ongoing tension between the level of direct democracy, versus representative democracy, that stockholders are afforded. With the advent of the federally-mandated ‘advisory’ vote on executive compensation (“say-on-pay”) and now continued ratcheting down on areas such as director compensation where there are still checks and balances (before these cases, there was already plenty of required disclosure– and an option to simply throw the directors out of office), will we continue to see either federal government or state judiciary mandated direct approval of specific business items by stockholders? And, if so, does the investment of time and energy in such individualized direct-democracy pursuits truly benefit the corporation and its stockholders in efficiently maximizing stockholder return? A Baker’s Dozen of Blue Chip CEO’s and Leading Investors Speak Out on Corporate Governance: What Else Can be Offered to the Conversation? A most curious press release sprouted up amidst summer’s hot growing season: 13 leaders of public companies and investing firms have put forth self-professed governance principles for public companies. (See www.governanceprinciples.org) As can often happen with a group drawn from diverse constituencies, however, and no matter how laudable the goal, the message avoided controversy – and thus at times clarity. In many areas the principles simply restated what has become commonly accepted as the norm – and in other areas they merely described known facts without clearly adopting a position – thereby resulting in analytical hedging. While the governance principles are undeniably appropriate to initiate a dialogue, they beg the question of what raw issues lurk under the surface. The Activists (or the “Constructivists”? ): ValueAct Capital. Newer public companies: Google, Apple, Facebook (or even slightly older companies such as HP, Microsoft or Intel) – the issuers were drawn all from respectable and great companies – but ones who come from a very different cultural background than newer, but still large and well capitalized public companies – with many of them on the West Coast and many of them in technology. Midcap public companies: Governance has cost. Hearing the duties of a lead director of a large company these days is akin in some respects to having a shadow CEO. Moreover, investment firms have limited resources devoted to governance and a smaller company may find it difficult to find receptive bandwith. Small and midcap companies out of necessity have different approaches and perspectives. The largest US pension funds: Yes, the CPP manages $200 billion USD in assets. However, no CalPERS ($300 billion – dwarfing the CPP)? No CalSTRS ($189 billion)? No New York City pension funds (for a New York based group) ($163 billion in assets)? And irrespective of size, each of CalPERS, CalSTRS and the New York City Comptroller have been extremely involved and vocal on governance. The “activist” activists: ValueAct is known for pressing management in private and rarely going to a proxy contest – accordingly, their need for the levers of the shareholder franchise may be less pressing that those activists who threaten (to some, perhaps bully and to others, shake up underperforming) management: Carl Icahn (witness the eBay/PayPal split), Nelson Peltz (the subsequent merger of Dow Chemical) and Jeff Smith (the wholesale overthrow of the Darden board). The advisors: At the risk of self-promotion, it is interesting that the group lacked any senior presence from those advisory constituencies who regularly must sort out these issues: whether from proxy advisory firms, investment banking or law firms. This group of ultra-large asset managers and public companies somewhat unsurprisingly focused on general contours of evolutionary governance – no matter that many, if not most, of those contours are widely accepted norms already, particularly by the primary proxy advisory firms (ISS and Glass Lewis). Asset managers should devote appropriate time to analyzing votes. The interesting and perhaps most controversial part of the group’s principles is within financial reporting. Providing guidance – particularly short term guidance on multiple variables – is increasingly being scaled back by companies – and large asset managers (as opposed to the ravenous appetites of the sell-side analyst community) may find such guidance not terribly useful for fundamental analysis. The role of non-GAAP reporting is also under scrutiny: The SEC has recently experienced renewed vigor in scrubbing non-GAAP financial provisions. It is interesting to note, however, that while the group clearly is advocating that stock expense cannot be part of a non-GAAP rubric, the group itself excludes companies (traditionally in the technology space) where equity customarily has been non-GAAP’d out. Clarion positions that stake out firm ground in controversial areas: For example, take this less-than-fiery statement from the principles: “Directors should be business savvy, be shareholder oriented and have a genuine passion for their company.” Granted, board members draw from academia or government may not be as “business savvy” as one would hope – but generally such directors have unique depth in a given area and are balanced by other members. Drilling down on the prior point, in a staid recitation of the past couple of years’ evolution on proxy access, the group dissected where proxy access has gone – but failed to endorse proxy access explicitly, any specific provisions or advocate for more or less access. The group did a similar recitation that some companies have board age limits and some don’t. And the group called for companies to articulate their positions and explain any exceptions. Communication. But is 70 the ‘new 68’ – or 72 the ‘new 70’ – What is the position of this country’s leading investment funds on age limits and whether or not they truly make sense? Addressing “short termism” vs. “entrenchment” and the right balance – or the risks of short-termism (such as leveraging up a balance sheet to return a special dividend potentially to the detriment of long term R&D and the business over decades, not a single one time hit of capital return). Or the role of sharply divergent viewpoints often presented by activists and how such viewpoints actually may inject fresh intellectual capital onto boards – or whether classified boards impede short termism or merely are entrenchment mechanisms – and what the standard is for accepting or rejecting them. The role of plaintiffs firms and litigation both good and bad – including the extent and wisdom of exclusive forum limits and even fee-shifting provisions. Stark and raw self-inspection of the actual underpinnings of modern boards: The dean of the American corporate bar, Marty Lipton, has bemoaned the current paradigm of governance: Boards composed of almost exclusively of outside directors, save for the CEO – it is increasingly rare for a board to have more than the CEO as an inside member. Such (mostly retired) board members oftentimes spend no more than 8 (perhaps 10-12 at most) days per year in a regular rhythm: Ballooning stacks of virtual paper on electronic posting systems, parachuting in to convene for a day of committee meetings, followed by a board dinner and the following morning, a board meeting – and then a hasty collective scoot to the airport. Punctuated by the annual two day or so retreat. Demanding one share, one vote capital structures. In summary, the group of CEO’s message on corporate governance represents a baseline – something for which companies in the lowest decile of governance practice can aspire. But with a wider cross section of leaders, it possible to imagine the group driving harder to have positions on the tough issues facing boards today – and describing clearly areas where dissonance occurs while addressing the tension behind such obvious underlying disagreement. In the past couple of years, a relatively hot area of the sometimes rather lackluster world of bylaws amendments has centered on requiring candidates for election to a board of directors to disclose any compensation arrangements with third parties that relate to such board service. In their most egregious form, issuers fear that such ‘golden leash’ arrangements incentivize board candidates – almost certainly those nominated by activist investor funds – to advocate positions that would otherwise not be in the long term interests of stockholders, instead focusing on short term increases in results. When this issue first gained prominence in 2013-2014, some issuers attempted an outright ban on such third party arrangements. In the face of howling (though largely private) opposition from activists and, more importantly and publicly, proxy advisory firms, most companies fell back to a position of simply requiring disclosure rather than an outright ban. Accordingly, numerous bylaws have been amended to require disclosure of such arrangements. Disclosure (only) is increasingly viewed as the simple norm. More recently, the NASDAQ – home to most technology companies, a sector which only in the past few years has firmly become a prime target of the activist community – proposed and, as of July, now has received SEC approval for, a listing rule that requires disclosure of all golden leash arrangements. Interestingly, the NYSE – at least publicly as of now – is not contemplating such a move, nor is the SEC pushing wider regulation. One could posit that the disclosure laws are already sufficiently broad to permit the SEC to require such disclosure through relatively simple rulemaking (or even just comment letters to strengthen interpretations). Such potential regulation would appear prudent, particularly for the ‘pink sheet’ OTC micro-cap stocks where this could also be an issue but such companies would not be subject to larger exchange regulation. However, the Staff – whether overburdened by thousands of pages of bureaucratic complexity stemming from initiatives such as Dodd Frank, or simply timid given their mixed success in regulation with respect to director elections (e.g. proxy access) – has declined to do so. Such declination arguably is an abdication of responsibility, though perhaps not a surprising one given the poisoned political atmosphere currently involved in merely having commissioners confirmed to serve. Pro: To attract truly high quality board candidates – particularly to ‘normal’ activist situations which involve companies facing various challenge and usually whose stock as a result underperforms rather than outperforms – requires super-compensatory arrangements well beyond what has become the vanilla director benchmarked compensation rate for the standard 8 days a year (and a few teleconferences). Pro: If tailored correctly, a separate compensation arrangement does not in and of itself need create disparate incentives on the board. Activists have begun arrangements that involve significant remuneration – but as a condition, such money must be invested exclusively in company stock, thereby aligning the particular board candidate with the stockholders as a whole. Con: No matter how putatively aligned such compensatory arrangements may be, an arrangement may disproportionately affect a director when compared to holdings of a large institutional investor who may have more patience and fortitude to have a long term time horizon. Even if a director invests in company stock, he or she may still be looking for (or simply more susceptible to) the ‘quick pop’ from a year or two of board service and selling the company for a modest premium – even if the growth prospects for 5 or 10 years could be reasonably expected to eclipse the present value of a short term sale price. Obviously disclosure only requirements – including NASDAQ’s new rule – do not normatively weigh-in on the merits of the arguments listed above; that is left to the stockholders through the exercise of their franchise in director elections. The NASDAQ rule does, however, fortify the accepted norm of such disclosure. Finally, NASDAQ’s rule also presents the odd optic that a self-regulator – who is in heated competition to retain listings against the NYSE – is unilaterally imposing the obligation as its own rule, inviting issuers to view this a stock exchange regulatory arbitrage. It remains entirely unclear whether this portends a future pattern of competition among exchanges based on perceived enhanced governance standards – ones that go beyond prior accepted norms such as director independence and delve into relatively technical and more disputed areas. Yet Another Congressional Proposed Corporate Reform: Proxy Advisory Firms in the Crosshairs. The Cybersecurity Disclosure Act of 2015 would require disclosure of whether public company boards contained a cyber-security ‘expert’ or, if not, why not. The bill, introduced by Senators Jack Reed (D-RI) and Susan Collins (R-ME), appears stranded in the Senate’s Banking, Housing and Urban Affairs Committee. The Brokaw Act would shorten the trigger grace period for filing a Schedule 13D after acquiring 5% or more of an issuer’s stock from ten to two days. It also would require disclosure of any party who ‘coordinated’ with the filer, targeting activist ‘wolf packs.’ This bill, sponsored by Senators Tammy Baldwin (D-WI) and Jeff Merkley (D-OR), is sitting with the same Senate committee and may become subject to political season vagaries, particularly as supporters including Senators Bernie Sanders and Elizabeth Warren. However, ironically, it may find bipartisan support as the current ten day Schedule 13D filing period is viewed as archaic by many corporate issuers. At the very least, this proposed legislation has worried activist investor firms enough to band together in an unprecedented lobbying effort. Last – but certainly not least – Congressmen Sean Duffy (R-WI) and John Carney (D-DE) introduced in the House Financial Services Committee the Proxy Advisory Reform Act of 2016, which appears to have the most impetus for movement through the labyrinth of legislative crafting. As foreshadowed by its title, the Duffy/Carney draft legislation targets proxy advisory firms. Decades ago, the dull duty of voting in favor of management proposals was viewed as so mundane that generally it was entrusted to an investment firm’s mailroom personnel. A few corporate scandals created questions as to this automatic practice. Equally importantly, the Department of Labor – as the U.S. primary regulator of retirement savings – chimed-in by declaring that investment funds owed a fiduciary duty to their investors when voting shares. Since many funds lacked the scale to cost-effectively vet and decide positions on all the myriad companies in their portfolios, the concept of outsourcing those decisions to a group effort led to the creation of proxy advisory firms. Today, that market is dominated by two providers: Institutional Share Services (ISS), owned by a private equity firm, and Glass Lewis, owned by Canadian pension funds. Clients (investment firms) pay ISS and Glass Lewis to read, evaluate and recommend voting on company annual meeting proposals For many years, the weight of these firms was such that a recommendation ‘for’ or ‘against’ was extremely likely to sway the vote. Large investors with actively managed or index funds often use proxy advisory recommendations as a triage mechanism – the recommendations are useful but not dispositive of how a large investor may vote. Nonetheless, many smaller investment funds appear to continue to defer entirely to whatever ISS and Glass Lewis may recommend. And mid cap or small cap companies may not receive much independent scrutiny, even from investors with well-established internal voting departments. Opaque Criteria: Certain criteria used in evaluating proposals – particularly in the area of executive compensation and the refreshing of employee equity inventive plans, are perceived as ‘black boxes’, generally not easily understood and inflexible when applied to unusual or unique circumstances. Inaccurate Analysis: ISS and Glass Lewis are responsible for evaluating thousands of proxy statements – the majority of which still occur within the traditional compressed spring cycle of a couple of months for companies whose fiscal year end is December 31. The advisory firms can be perceived as making mistakes in the analysis, for which they may or may not be open to conversation and correction. The proxy firms would maintain that with sufficient advance planning, an issuer will have plenty of time to help correct mistakes – but issuers who are running businesses may not have that at the forefront of their list of priorities. Apparent Conflicts of Interest: ISS offers consulting services – fees to essentially explain their blackboxes. They claim to ‘firewall’ the consulting segment of their business from the proxy advisory segment – going to the extent that the respective teams are housed in separate buildings. In return for consulting fees, ISS will work with a company to model the company’s compensation policies and corporate governance policies. Nonetheless, there is a perception of an apparent – or at worst actual – conflict in interest in offering companies services for which a company is then scored by ISS. SEC Registration: Register as such with the SEC and certify that the firm has the requisite ‘financial and management’ resources to function. Recommendation Pre-Review: Give an issuer sufficient reasonable opportunity to review draft recommendations and to have an ombudsman office that assists issuers that purport to need corrections to such recommendations. Business Model Disclosure: Disclose a firm’s top twenty clients by revenue, any potential conflicts of interest and describe how clients do not have ‘undue influence. Some industry observers – including the proxy advisory firms, to no surprise – view the issue of conflicts as a red herring – notwithstanding the appearance that may be given externally. While theoretically such fees may create an appearance of impropriety, ISS’s response is that it goes to great lengths to ensure a division between consulting and scoring. On a practical level, it is a complete unknown as to what reasonable standard the proxy advisory firms will be held in having discussions with thousands of issuers on recommendations – and what level of “financial and management’ resources would be required under SEC registration. Proxy advising is not a particularly high margin field – and both of the dominant players remain modest in financial scope. In addition, mandating public disclosure of the twenty largest clients by revenue would force revelation of what even the firms’ most antagonistic of opponents would admit seems to be highly confidential and proprietary information about the firms’ respective businesses. That said, such is the ire that has provoked the bill, that an indirect consequence may be the bolstering of an appeals/consultation process with issuers and more transparent engagement from proxy advisory firms overall. Even if the draft legislation were to languish as other bills appear to be doing, the mere introduction has forced a focused, substantive discussion on the role and financial wherewithal of proxy advisory firms – topics which have been the subject of strong opinion for some time but hitherto not under the bright lights of legislative hearing rooms. A continuing frequent question from public companies is how a board should be constituted to oversee cybersecurity. Many public companies foist this additional burden on the audit committee. Those large enough to have a risk committee frequently allocate it there. A corollary question then becomes what qualifications do one or more directors need to have to oversee such risk. Much of this analysis would seem apt for individual state law which, for the majority of corporations, means fiduciary duties in Delaware. The business judgment rule requires an absence of conflicts (presumably not really applicable in this context) and due care by a board. Plaintiffs firms—ever eager to seize upon a new potential litigation entry point—have been relatively unsuccessful in asserting breach of fiduciary duty claims against boards. The seminal case to date, against Wyndham Hotels, was unsuccessful. Despite multiple separate data breaches, the district court in the case found that Wyndham’s directors had been regularly briefed on cyber-risk and had exercised their fiduciary responsibilities. If no such directors qualified, what efforts the Nominating Committee had undertaken to remedy such absence. The definition of “expertise or experience” would be designated by the SEC in consultation with the bureaucracy at the National Institute for Standards and Technology (NIST), which promulgates the U.S. Government’s protocols on cybersecurity. The bill references NIST relying on, “…professional qualifications to administer information security program functions or experience detecting, preventing, mitigating, or addressing cybersecurity threats…” A few directors—particularly of technology companies—who are professors or computer scientists or the like may qualify based on their profession. However, many competent directors who are astute business managers may lack such obvious credentials. The bill threatens to force boards to dilute business expertise of a board with members who either have gone through bureaucratic hoops—or force members to be washed quickly through a cottage industry in purported cyber-programs. While bill proponents may note that it is a “disclosure only” requirement, the onus of additional government regulation is clear. And while proponents may also draw an analogy to the financial expert requirement under Sarbanes-Oxley—the analogy is flawed. GAAP is the language of any corporation—a complex body of specific rules where interpretation is the key. Cyber-security is highly evolving, fluid and differs vastly from one company to another. While the NIST protocols are rough guidelines, they are simply not a technical body of regulation or operational language as is the case with GAAP. Further, risk profiles and substance differs drastically: A consumer payments company has very different risk issues from a business-to-business equipment supplier. Mandating some government-blessed background offers the precision of a butter knife approach—not a scalpel. Private rights of action, and thus plaintiffs’ law firms are an excellent counterbalance and arguably more effective than any government decree. Corporations face massive liability, whether in direct damages or derivative actions, if they get it wrong. Time is the number one factor in assessing any strategic implication of a company. In a world when directors average eight (or so) days a year at in-person meetings—notwithstanding telephonic committee meetings—carving out sufficient calm, thorough time to actually delve substantively on a continuing basis into an issue is difficult but necessary. A best functioning board is an inquisitive, active board. Relying on a management dog-and-pony show schedule of any presentation is unlikely to yield best results. Board members should not hesitate to immediately and frequently interject with tactful questions. That does not mean the board has to contentiously cross-examine presenters—but savvy board members will intuitively nudge rather than excoriate management. A highly intelligent board member with specific relevant industry expertise is worth more than a government-mandated security course. Balancing workload. It is not clear that the Audit Committee is the best place for cyber-risk. Those companies that have risk committees would seem to devote additional time to other risks as well—without impinging on the important work of the audit committee. Policies and architecture. A board need not be nuanced in highly technical issues to understand the importance of organizational roles. Does the company have an independent voice, such as a Chief Information Security Officer (CISO) who can dissent from I.T. and report directly to the head of a committee (or at least a CFO or CEO)? Does the company have an incident response plan tailored to the company—and has it been through table-top simulated exercises with after-action reports? Rely on your inside and external teams. In any technical subject, it matters to have both the right teams and the right structural checks-and-balances. Competition both internally and with more than one external advisory firm is wonderful at motivating behavior. At the risk of self-interest, boards should not hesitate to independently engage outside experts, both at a technical and governance level. Even if these teams are sporadically consulted, retention also assures familiarity and response time if a crisis breaks out. Accrued Knowledge is a collection of thought pieces by Ed Batts, focused principally on public company matters including M&A and corporate governance.